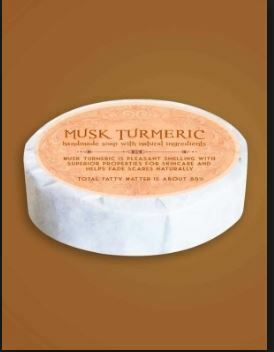 I had bought musk turmeric herbal powder which they were offering. So, here is my review of the product. I used it very long ago so I do not have pictures but it looks like regular turmeric at home. But, when I used it, he left my face so pale that after using the mask I had to wash my face twice with the face. And, while using herbal products, the products feel sting in opposing tilt sensations. And, after washing it, it leaves my face completely raw. After using this herbal powder to avoid the yellow color of my face, I mixed it with my regular homemade gram flour. Suppose, it turned the entire ubunton into yellow and still spoiled my face. I tried to mix it with sandalwood and multinini soil and then applied it on the face but it did not work either. After so many efforts, it was flake, I compared it with regular turmeric and I suspect in some way that this herbal powder is not absolutely herbal but perhaps some powder has got yellow color. So, right now, I’ve mixed the powder with sandalwood powder and multinini soils and using it as a cleaning face rather than cleaning it. My strong suggestion is that do not buy this product. This is just 35-40 INR. Absolutely not expensive but completely useless product If you come into this product, just let it go. Are You Looking for Hair Dresser?